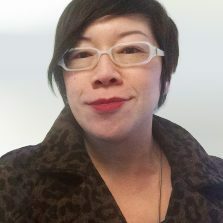 Jenny is a designer specializing in branding, web and print strategies for a variety of clients. Armed with an architecture degree from U.C. Berkeley, Jenny’s take on design veers towards a user-centered approach, and her aesthetic sense usually on the side of simple, clean, and direct regardless of medium. With over a decade of experience in the industry, she’s left her mark on everything from signage and packaging to books and websites. She enjoys book arts, bicycling, cooking, crafting and writing. And she really, really likes owls.